Balmond Studio intern Calvin Chua and his teammates (Kai Hian Ong, Brian Cheng and Eugene Tan) from the Architectural Association have been awarded 3rd Prize at the UIA (Union Internationale des Architectes) Student Design Competition. 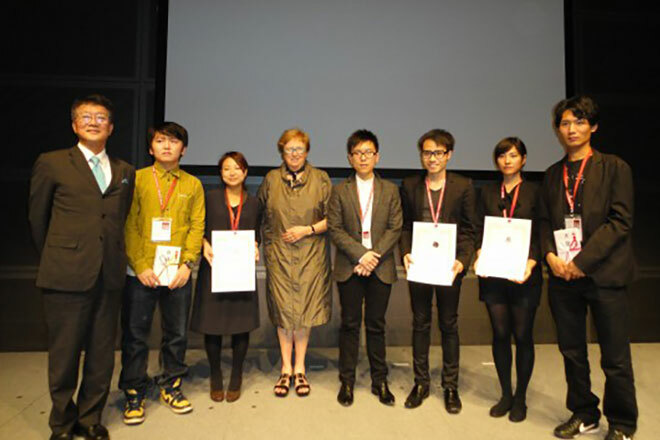 The prize-giving ceremony was held in Tokyo at the 24th World Congress of Architecture, during the final week of September 2011. The team’s entry proposed a radical masterplan for the development of Tsuchiura – a depopulating waterfront city in Japan – into a sports and leisure hub. By tapping into existing underutilised infrastructure, different parts of the city were to be connected and framed through small-scale interventions.